This month’s theme on DPSN is ‘addictions’. 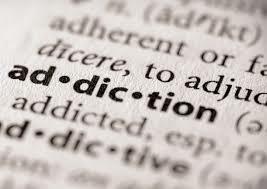 We’ve asked our bloggers to let us know what they think when they hear the term ‘addiction’. From personal experiences, social and cultural attitudes in New Zealand, stories of supporting others, through to the perspective of those who work in public health. As always, we’re keen for you to be part of the conversation, so let us know your thoughts on celebrity and media in the comments below, or jump over to our Facebook page to join the conversation. For the past two and a half years I’ve worked as a psychologist specialising in supporting people mental health and substance use (ie: addiction) concerns. Over that time I’ve been absolutely stunned, again and again, by the blatant stigma, discrimination and stereotyping that people with substance use problems face, on almost all fronts. New Zealand as a population has one of the highest psychoactive substance use rates in the developed world. In the 2007/2008 New Zealand Alcohol and Drug Use Survey, a massive 84% of adults aged 16-64 had drunk alcohol at least twice a week in the last year, 14.6% had smoked cannabis, and 3.9% had used stimulants (including methamphetamine). And while 3.9% might not sound like a lot, when taken as a slice of the New Zealand population, it equals 219,079 people – or roughly 1 in 20 kiwis. So, if you know at least 20 people, one of them has likely used a drug like methamphetamine in the past year. The use of psychoactive substances is common, not unique. I would kind of expect a somewhat negative attitude from everyday people; people who don’t know much about substance use other than what they see on the news. But the thing that always takes me by surprise is that such negative attitudes and stereotyping exists even among my more liberal, switched on and socially aware friends. Even other therapists and psychologists I know have said to me, “I would never work in addictions,” as if it’s somehow beneath them, or not a “real” psychological issue, like anxiety and depression. The prevailing image of substance misuse or addiction is that it is a moral failing, rather than a mental health problem. People think that taking a substance bad and wrong (not to mention usually illegal), rather than representative of a person desperately trying to alleviate their physical or psychological distress. They think taking a substance is a choice, and it is, but arguably no more so than a person with depression “choosing” to stay in bed, or a person with overwhelming social anxiety “choosing” not to attend a social event. Two and a half years of supporting people with mental health and substance use problems by no means makes me an expert in the field, but I can honestly say that after all this time I’ve yet to work with a single person who didn’t have problems other than the addiction itself in their lives – from official diagnoses like depression, anxiety and schizophrenia through to “problems of life”, like relationship difficulties, work stress, financial pressure, lack of support, poor role modelling and domestic violence… Not a single person I’ve worked with has had problems with substance use that have existed in isolation. (I’ve talked more about this before). That’s why I love the work that I do. Because it’s a hugely powerful thing to help people understand that using a substance in a way that is harmful is a symptom, but often not the root cause of the problem. And that with support, someone with an addiction can minimise the harms from their substance use, work through their life problems and improve their overall psychological well-being. I would work no differently with a client in any other field, so I fail to understand why my clients should be seen so differently. So, what are your views on substance use and addiction in New Zealand?